World Executive wall maps from Omnimap, the world's leading international map store with 275,000 map titles. 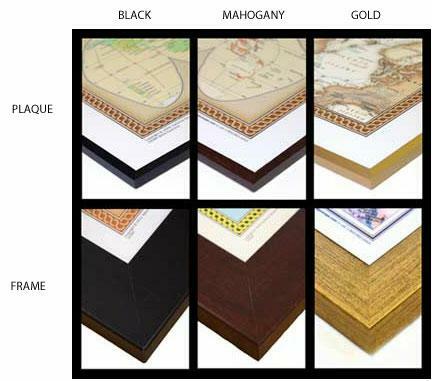 World Maps - Executive Style (Antique style). Current information with an old look. Enjoy the accuracy and beauty of the latest world map from the cartographers at National Geographic. This map features the Winkel Tripel projection and has elegant, rich tones that will complement any office or home. Astounding detail and board room quality make these maps excellent for reference or as a keepsake for your map library. This is a current political map featuring an antique style. 43'' x 30''. Winner of the 2002 Best Reference Map from the American Congress on Surveying & Mapping.